Sighthound collars (suitable for breeds such as Greyhounds, Lurchers, Whippets, Saluki, Borzois, Afghans and Sloughis) can be are made to measure and to customers requirements. 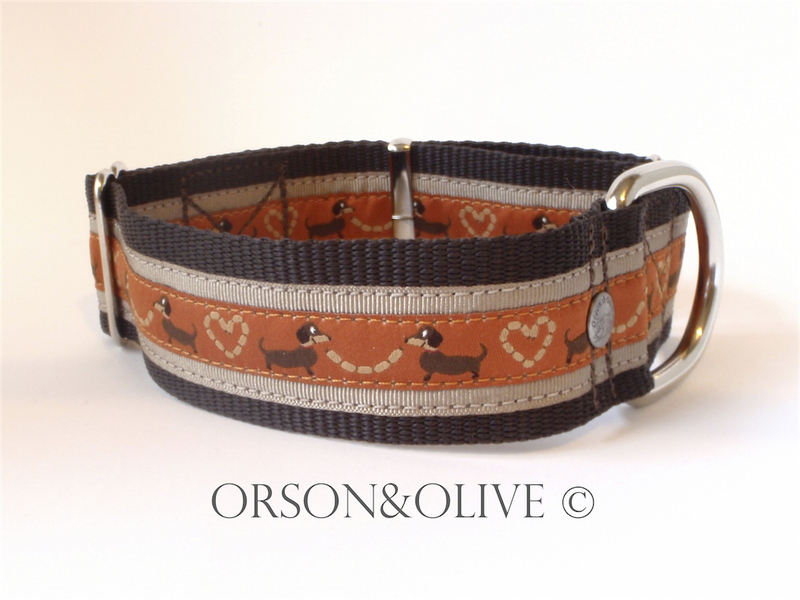 The designs on this page show you just some of the collars we have made to date. Standard/ tag collar (with a buckle – sometime known as a house collar). 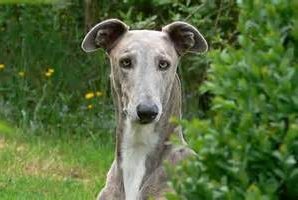 Our size medium standard adjustable collars will fit most sighthounds. 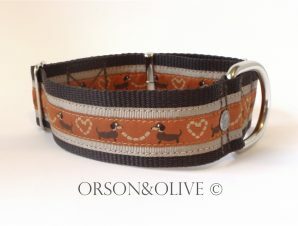 These collars are usually only worn around the house and a martingale collar is applied for walks. 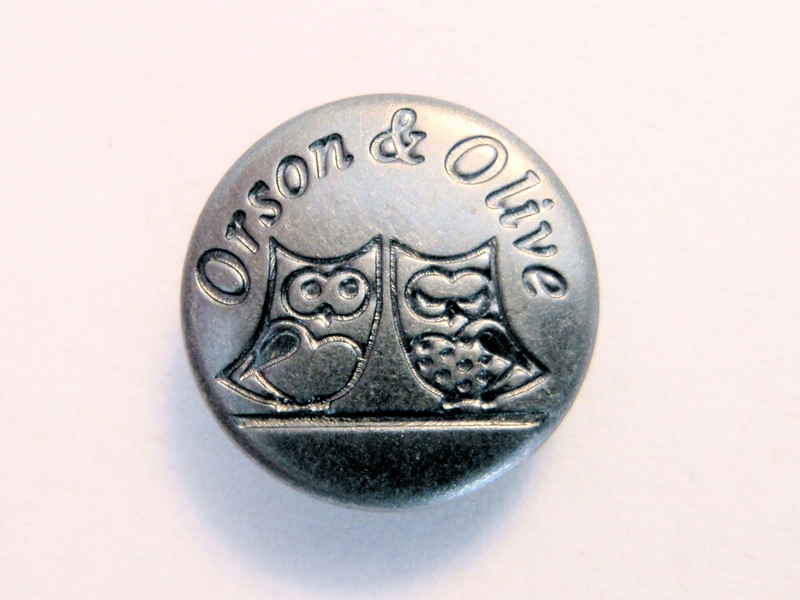 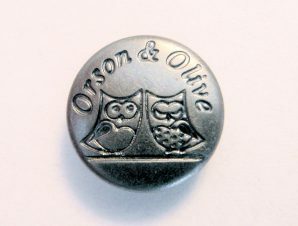 Please contact us at info@orsonandolive.co.uk with your requirements and we will advise you of prices and timescales. 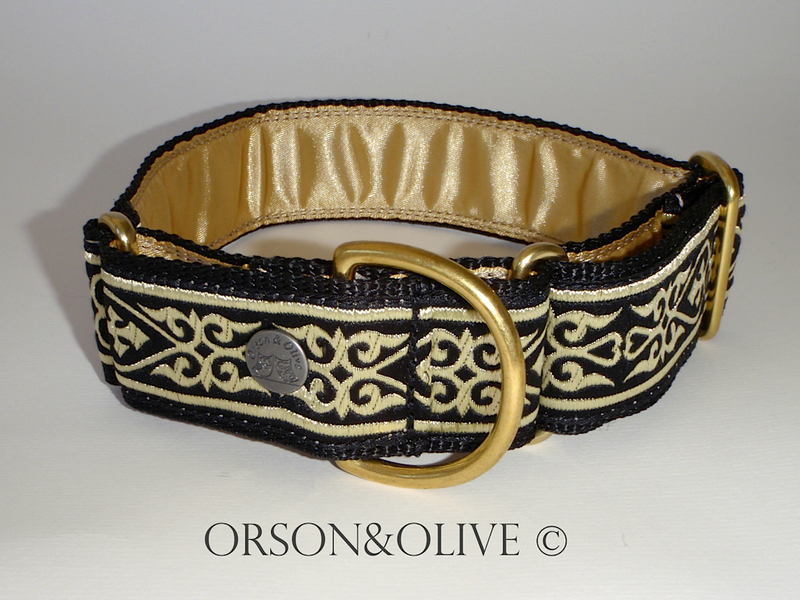 High quality UK manufactured hardware (solid brass (including nickel plated brass).